Roses are the most popular and top-selling flowers in the world. They're not only the symbol of love, passion, youth, beauty and discretion, but also the "queen of flowers" all over the world. Roses always feel right. Because people choose them spontaneously and love to receive them. In short: roses make every occasion special. Roses: what do short-stem, medium-stem and long-stem mean? Giving roses: even or odd number? Noble houses of England wage the "Wars of the Roses"
If you are buying or ordering roses, choosing your blooms involves more than deciding on the most beautiful colours and different sizes. There are various stem lengths as well. 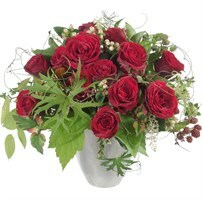 You will (usually) have the choice of short-stem, medium-stem and long-stem roses. Within these categories, however, the actual length in centimetres of the stems may vary. However, in general, short-stem roses are 30-50 centimetres in length, medium-stem roses are 50-60cm in length and long-stem roses are mostly 70cm or more. Making a gift of roses? You'll find the shop HERE. 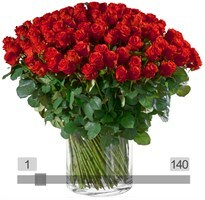 How many roses should you give: always an even number or always an odd number? 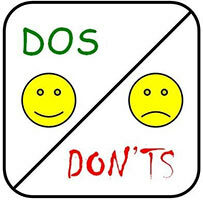 We explain the rules below. For many years, it was believed that only an uneven number of flowers was acceptable. This tradition comes from France. At one time, people wanted to prove that their flowers had not been bought from the market. 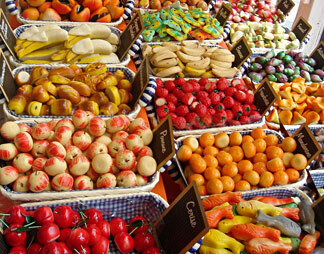 While markets always offered flowers in even numbers, shops sold them in odd numbers. 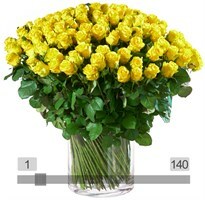 The custom today is to give an uneven number of flowers only if they can be counted at first glance. This is difficult if there are eleven or more flowers (or in the case of a tied bouquet). So from that point onwards, consumers and florists feel they can do as they please. By the way: "a dozen roses" is still considered THE classic gift in every country. And it is not uncommon for people who are deeply in love, or even long-standing partners, to order a gross (twelve dozen roses). Making a gift of roses? See what your chosen number from 1 to 144 looks like in a vase. You'll find MyBouquet HERE. 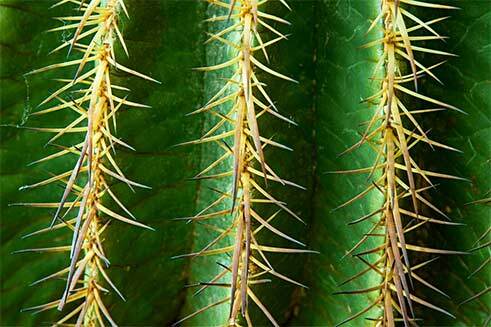 Ever heard of the prickly cactus or the thorny rose? It's wrong. In actual fact a cactus has thorns, while roses have prickles. 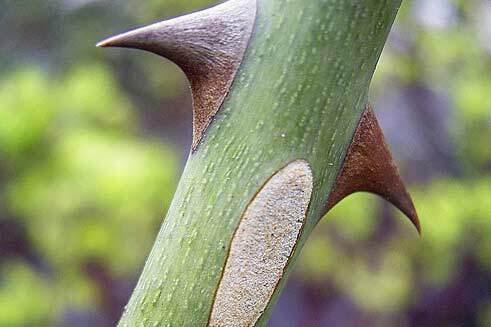 In botanical terms, thorns are sharp-pointed, aborted shoots with a wooden core, which are found in such plants as sloe bushes and succulents. Prickles, on the other hand, are formed from the bark of the shoots and are very easy to break off - as in the case of roses. They protect the plant against being eaten by animals. "My best ever gift of flowers was 7 long-stem red roses for my birthday. It was the first time ever that my husband had carried such exclusive, beautiful flowers 10km by bicycle in his backpack. And the consignment even reached me in perfect condition." "The first time my girlfriend visited me at home, she gave me a really beautiful, single red rose. It was the first time a woman had ever given me a flower. It was wonderful, memorable and a gift of love in the truest sense." Not least, people very often mentioned large, huge or even mega bouquets of 30, 50, 60 or actually more than 100 roses, and of course the colour red was the particular winner. Making a gift of roses? See what your chosen number from 1 to 144 looks like in a vase. The history of the most popular and best-selling flower - the rose - goes back a long way. 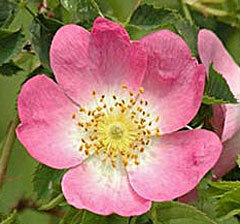 Fossils have been found that prove the existence of wild roses around 25 million years ago. Roses are described as "wild" if they grow freely and naturally outside gardens and are therefore native to the wider environment. Originally, they were only found in the northern hemisphere, spanning an area from China via the Middle East to Europe. In addition, however, fossil discoveries have now also confirmed their presence in the North American Rocky Mountains. There are now around 150 varieties of wild rose world-wide, the most common being the Rosa canina, also known as the dog rose. The garden rose has a long history behind it. It was cultivated in China as early as 2700BC, and by the Sumerians at almost exactly the same time. At all events, ancient tablets from the royal tombs of Ur in Chaldea report that the Sumerian King Sargon 1 (2684-2630BC) brought back vines, figs and rose trees to his country from a military campaign. Later on, roses were also grown in Japan, Kashmir the Assyrian Empire and Persia. It was so popular in Persia that the Persian word "gül" doesn't just mean "flower", but also "rose". Nowadays, it's a popular girl's name in the Middle East. Later, the Ancient Greeks discovered the rose and promoted its cultivation. 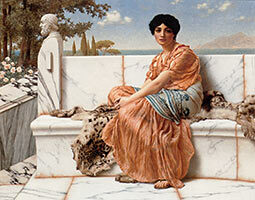 In 600 BC, the Greek poetess Sappho described it as "the grace of the earth" and "queen of all flowers". 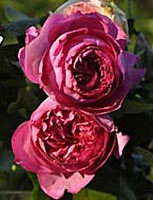 And by the way: these early varieties had a major influence on European rose varieties. 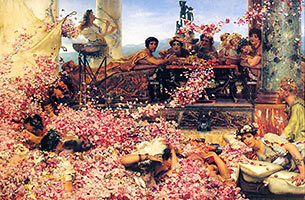 When roses reached the Roman Empire via trade routes, they became a sought-after luxury within a very short time. In Rome, the Emperor Nero was the first to fall in love with them on a grand scale. His enthusiasm went so far that he ordered rose petals to be scattered even when he went for a stroll on the beach. But not content with that, he always arranged for a shower of rose blossoms at his many weddings in the Domus Aurea ("Golden House") on the Esquiline Hill. The circular dining room, which rotated around its own axis day and night like the earth, featured moving ivory ceilings through which the flowers could be dropped or perfume sprayed. A hundred and fifty years after Nero, the cruel Emperor Elagabalus went even farther. Instead of a gentle shower of petals, he ordered an absolute deluge to be dropped on his guests. They had just enough time to applaud this new extravagance before suffocating in the blossoms. There was a time when Romans grew more and more roses instead of corn, almost bringing about their downfall. As a result, the rose quickly attracted the stigma of decadence and vice during the Roman Empire. Roses have symbolised the beautiful things in life since ancient times. Love, passion, youth and beauty. It comes as no surprise that they were dedicated to gods and goddesses who represented fertility, sensuality and love: Aphrodite, Eros and Dionysus in Ancient Greece, Isis in Egypt, the nature goddess Flora in Ancient Rome and Freya for the Germanic tribes. Wondrous tales grew up around the "queen of the flowers". Because ancient legends tell that roses are a vestige of the dawn on Earth, they arose with Aphrodite from the foam ... and the red colour of roses comes from the blood of a nightingale that clasped the flowers, originally white, in an overly passionate embrace. Even the devil seems to have loved roses at one time, though only climbing ones. According to one legend, he created them solely in order to climb up on their thorns and steal clandestinely into heaven. To the Romans, the rose was also a symbol of secrecy and discretion. They used the expression "sub rosa dictum", which literally translated means "said under the rose" and means much the same as "just between you and me". This is because the rose has been a symbol of discretion from very ancient times, with the five-petal blossoms symbolising the pentagram and therefore secrecy. So when a rose was suspended from the ceiling in Ancient Rome in clandestine discussions or, later on in Europe, a fresh rose was hung on the door of the City Council, all those present knew they had to keep silent about what was said. Stucco roses on the ceilings of town halls or roses carved on old confessionals in Christian churches are reminders of such agreements. It is the custom in London even to this day to lay a sword on a table strewn with roses when the Aldermen gather to elect the Lord Mayor. In mediaeval times, the rose became the symbol of Christianity. The white rose, for example, represented the purity of the Virgin Mary. And the sweet briar (Rosa rubiginosa) was believed to have sprung from a drop of Christ's blood that fell from the crucified Saviour's crown of thorns. 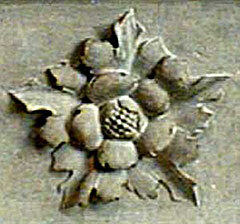 This led to roses also being represented in ecclesiastical architecture in the Middle Ages. For example, there is the rosette that catches the eye at the western portal of Gothic cathedrals, or the rose window that takes the form of the petals of a rose in bloom. 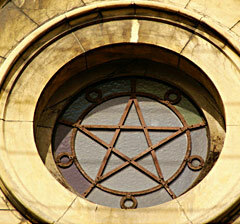 However, the rose appeared in the secular sphere as well and was an emblem frequently depicted on banners and coins. 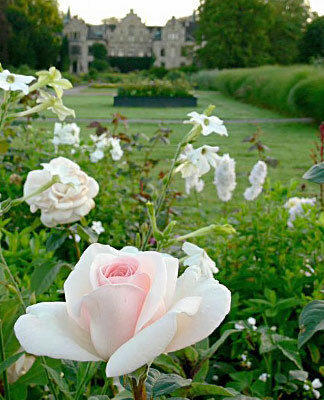 Not least, the rose came to be used as a medicinal plant in many monastic gardens and was also used as a kitchen herb. The positive symbolism of the rose helped to secure the flower an important role not only in place names, surnames and first names, but also in heraldry. 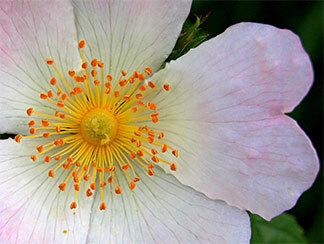 The dog rose has been one of the most frequently used heraldic flowers since the 12th century. 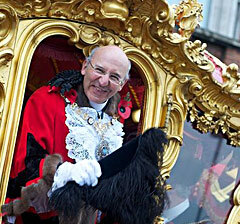 The best known coat of arms to feature a rose is that of the Tudors, still a symbol of England today. It was created after the 15th-century Wars of the Roses, which were fought between the English noble houses of York and Lancaster to determine which dynasty would claim the throne of England. Since the coats of arms of these families contained roses (a white rose for York, a red rose for Lancaster), these conflicts were later known as the "Wars of the Roses". When peace was restored, the two heraldic emblems were combined to form the Tudor rose, which features a red rose with a white centre. From the 16th century onwards, seafaring nations, primarily the English and the Dutch, brought roses from the Far East to Europe and rose breeding began. The first centifolia roses were created in Holland, for example: roses suddenly displayed double flowers instead of single ones and graced the gardens of burghers and nobles with their heady scent. The first moss roses were developed from these through bud mutations. However, rose breeding did not begin on a large scale until western Europeans started to cross Chinese roses with European ones after trade with Asia expanded in the late 18th century. 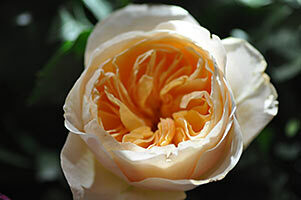 Breeding and selection then brought forth repeat blooming varieties such as Portland, Bourbon, Noisette and remontant roses. Rose breeder David Austin was also very successful with his English roses, which go back to these traditional varieties in colour and form. 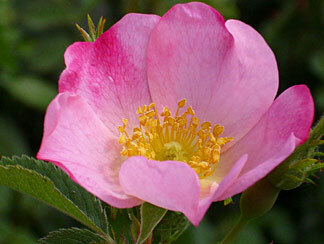 The wild Rosa rugosa has also played a major role in rose breeding over the past decades. It was used to breed winter hardiness and resistance to disease into cultivars. 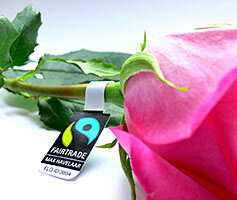 Aficionados can now choose from around 30,000 varieties of rose. People attempted to capture the perfume of roses very early on. 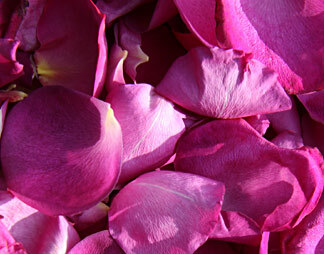 The Babylonians, for example, dipped rose petals in fat to preserve them in around 1500 BC. 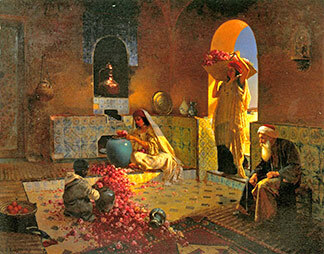 The distillation of rose oil, in contrast, came from Persia and was also a familiar technique later in Ancient Rome. Since the perfume of roses is a stimulant and "bewitches the senses", it was hardly surprising that courtesans also discovered it. In those circles, the excessive use of rose perfume was almost proverbial. 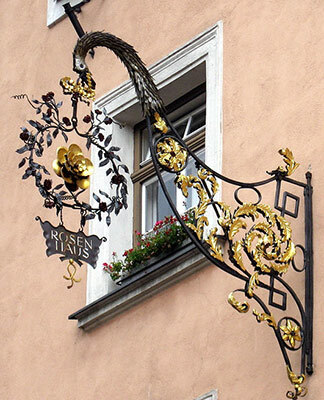 Even in the 17th century, bordellos in Germany were still called "rose houses" for that reason and ladies who sold their affections were "ladies from Rose Lane". In the 18th century, the rose reached the peak of its popularity and featured in a huge variety of formulas for fragrances. In those days, rose water not only flowed from "perfume fountains" where people could refill their bottles and was sprayed to give rooms a pleasant scent: smelling bottles also came into fashion, with essences consisting of nine parts vinegar and one part rose oil. Today, it is impossible to imagine fragrances and cosmetics without the scent of roses. 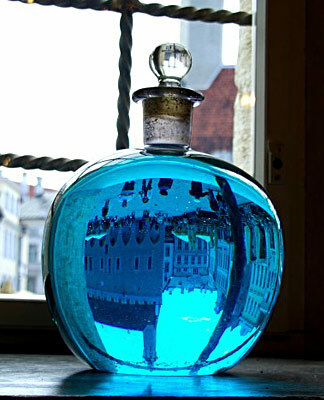 Talking of perfume: the word is derived from "per fumum" (through smoke) and goes back to the fact that aromatic substances were disseminated by fumigators from early times. Many flowers have medicinal effects, including roses. They were therefore grown for their medicinal properties in mediaeval Europe. The Ancient Romans had already discovered that the rose helped against toothache. And Roman legionaries carried both roses and the associated knowledge across the Alps northwards. At the end of the 8th century, Charlemagne made an important contribution towards their inclusion as crop plants in the Imperial and monastic apothecary gardens. 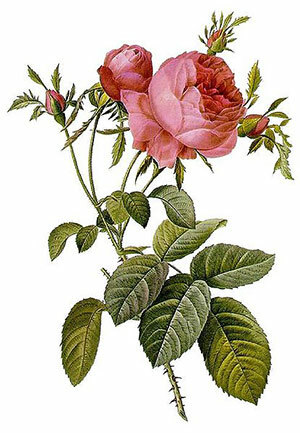 In his capitulary De Villis, which provides rules to be observed in administering the king's private domain, he recommended the cultivation of roses because the petals of the Rosa gallica (Gallic rose) in particular were useful for gargling as well as bathing slow-healing wounds and inflamed eyes. 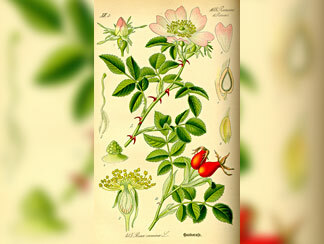 To this day, herbalists say that the Rosa centifolia and Rosa gallica are good for hay fever and alleviate headaches. The final discovery was that roses can be used in sweet dishes. For example, in making marzipan, which contains rose water and probably originates from Persia. It went from there to the Arab countries and arrived in Europe in the Middle Ages. It was certainly mentioned in Venice in the 13th century as marzapane; the scandalous "harem confection" was in those days only made by apothecaries. They prized it as an extremely effective remedy for constipation and recommended serving it as the last course of a meal. 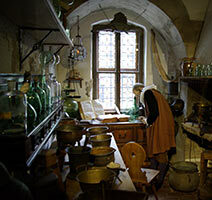 Talking about apothecaries: in those days, such establishments were in the hands of wealthy patricians who sold not only medicinal plants but also spices and drugs, and who made medicines themselves. It would hardly be surprising if they credited the remedies they sold with one or two healing effects that they didn't actually have. But back to rose water. It is still frequently used in eastern cuisine - and increasingly here in Europe too. Rose water is a by-product of the extraction of precious rose oil from rose blossoms.